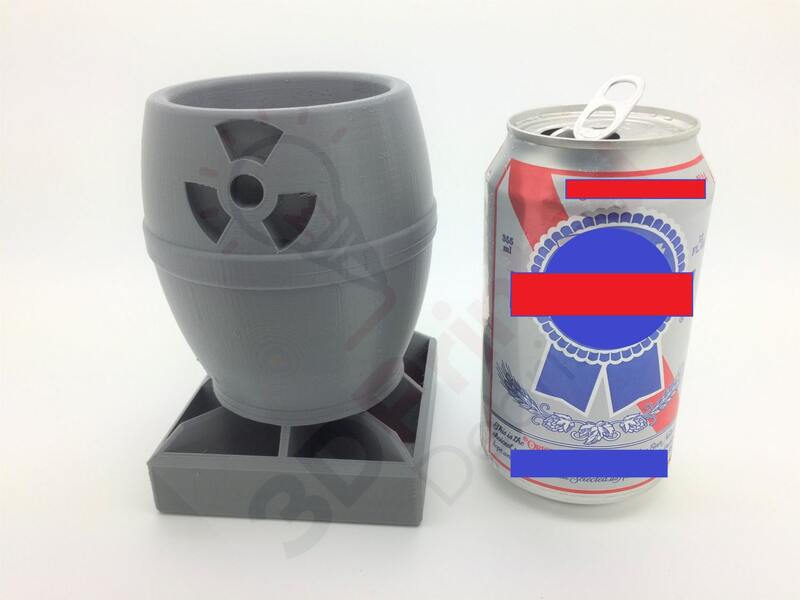 This is a Fat Man Nuke Can Holder for 12oz Cans I pulled off of thingiverse. 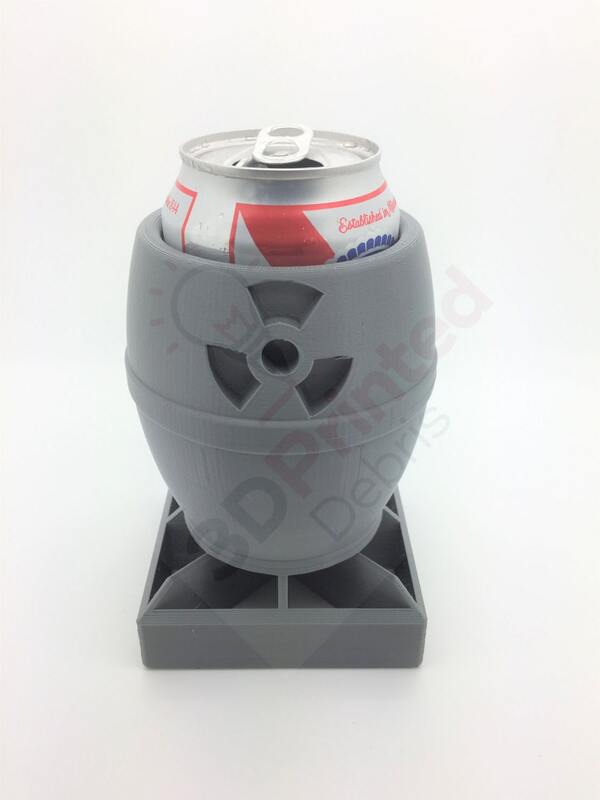 Aside from being the center of attention at any party and staking undeniable claim to the can that is MY BEER, it also happens to keep the can cold longer and has a lid to keep bees/bugs out of your drink while you're outside on the BBQ. I'd imagine it will look absolutely awesome in glow in the dark and under a blacklight. Beer not your thing? No problem, this fits any 12 oz can. Use it for whatever beverage you would prefer. I can put your name on the side if you'd like as well, just hit the "request custom order". 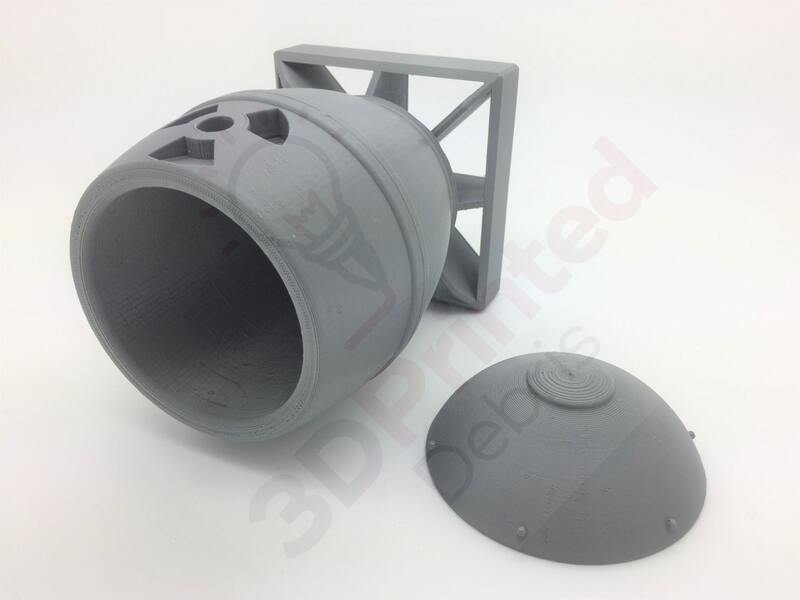 It came with a couple of lid choices on thingiverse: solid top, small straw, and large straw. Please note: the can of the world's greatest beer (it did, after all, win the blue ribbon) is not included with your purchase. Also: Handwash only, not dishwasher safe. 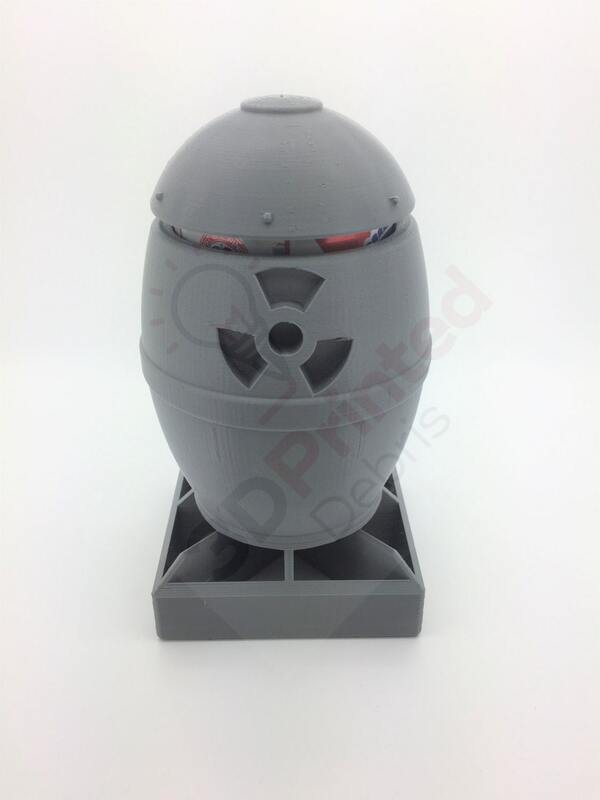 Attribution: thingiverse thing 1684121 designed by Turbostar.